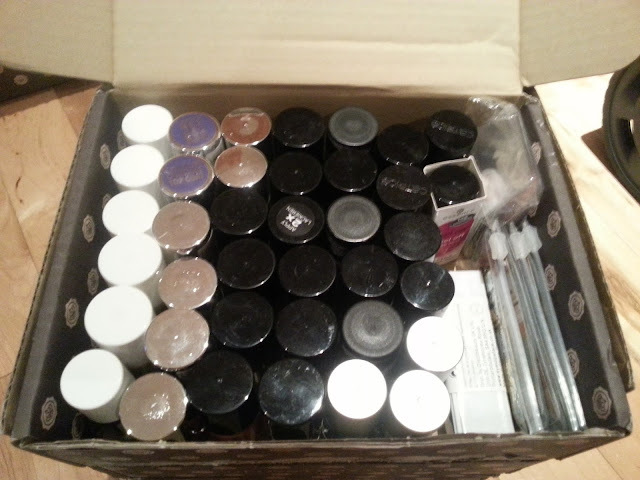 I'm always looking for new Makeup Storage ideas - my kit is increasing at an exponential rate - and I'm kind of a neat-freak in the sense that I like to have everything neat, tidy and organised. 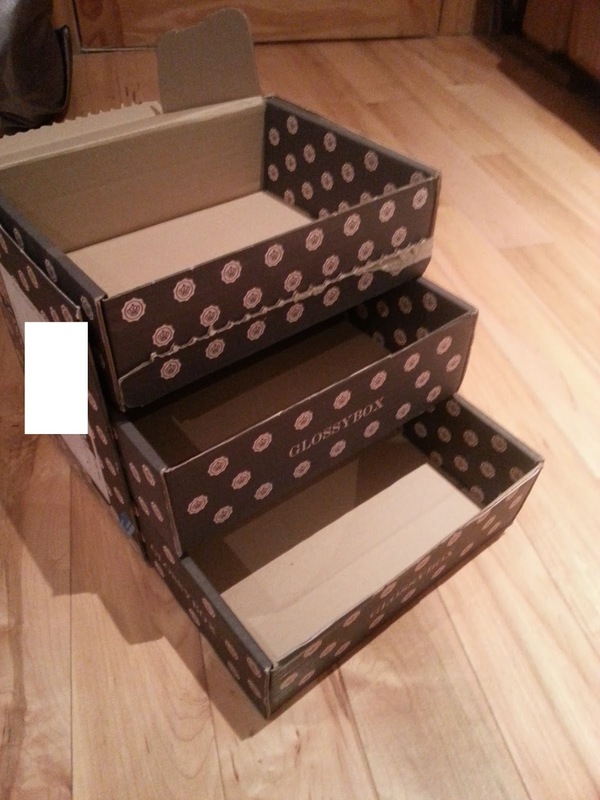 At last count, with over 250+ nail polishes, storage was becoming problematic, so here's a quick and easy tutorial to make the most of your unwanted Glossyboxes to store your nail polishes (or Eyelashes, pigments, eyeshadows, jewellery, lipsticks... well, just about anything really! 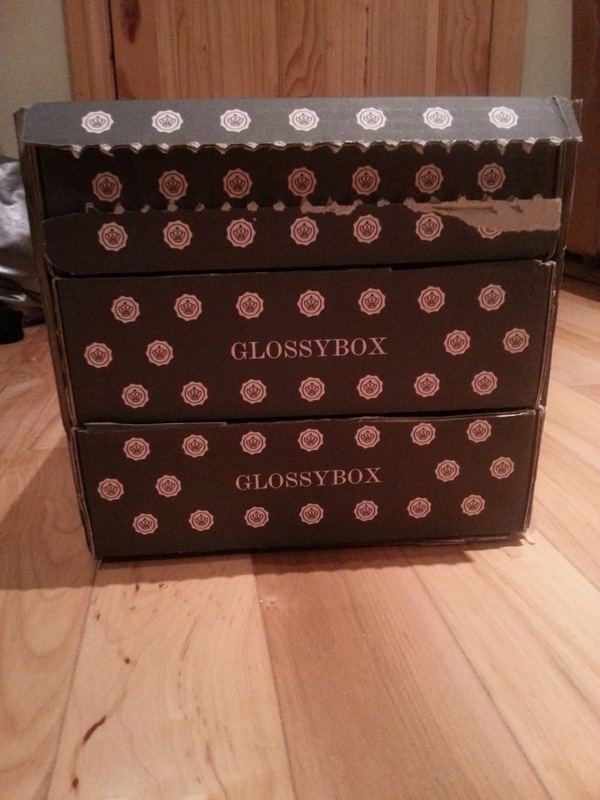 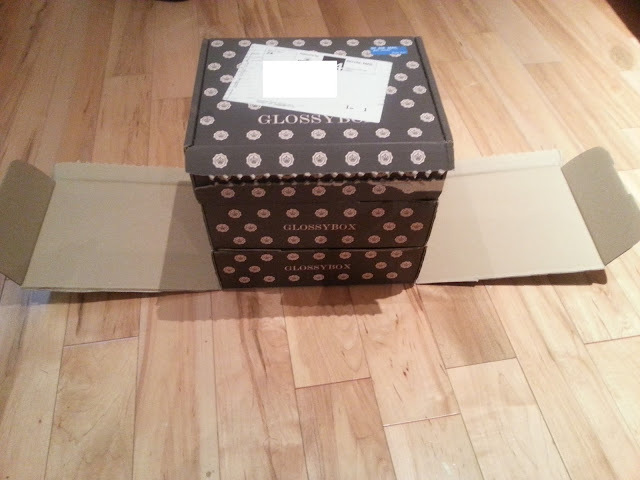 Stack your three Glossyboxes on top of one another - the one with the lid attached on top. 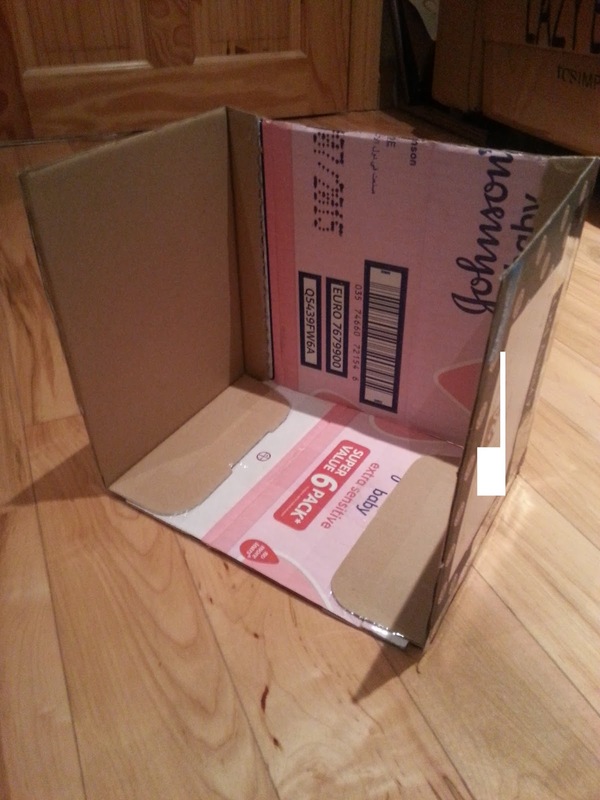 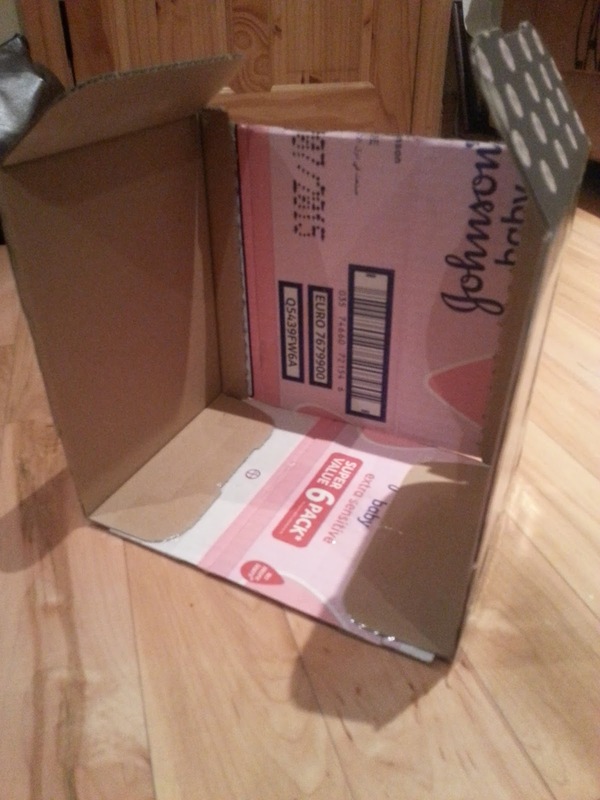 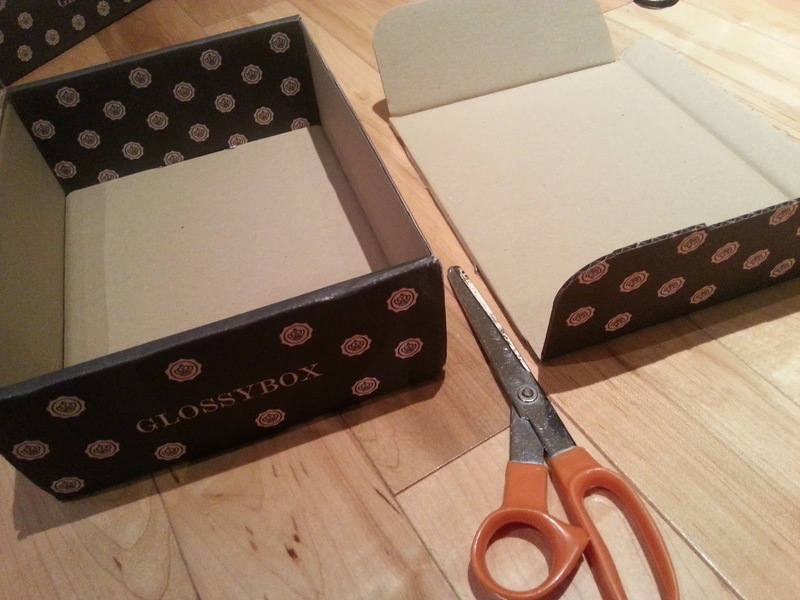 Place the two left over lids you just cut off and place one edge of the flaps underneath the bottom box. 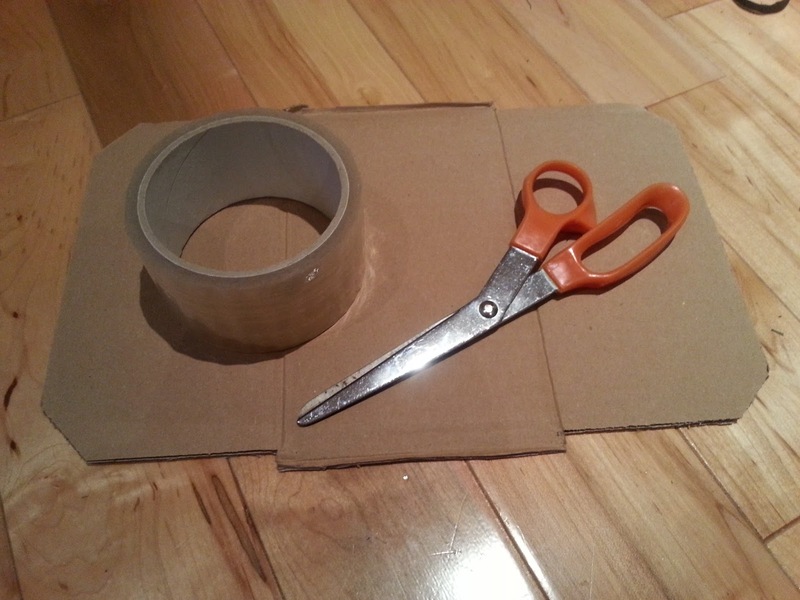 Take a piece of stiff cardboard to bridge the gap between the flaps. 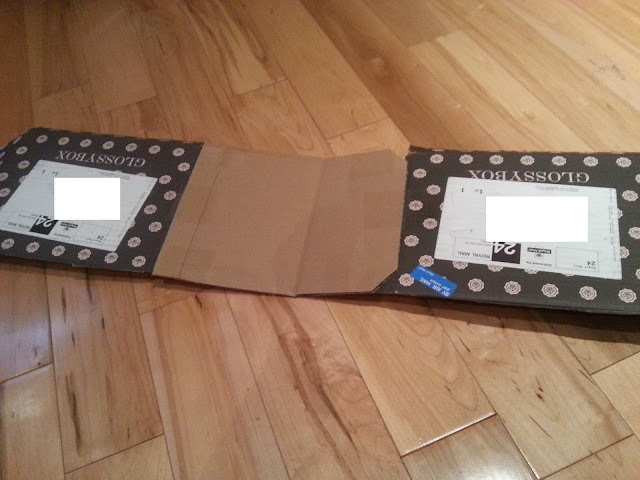 Now you need to make a "back" to this frame. 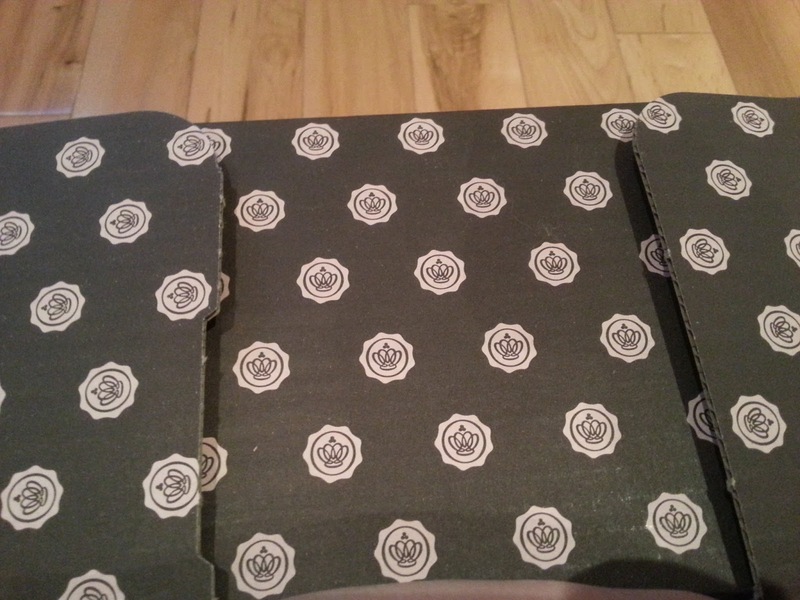 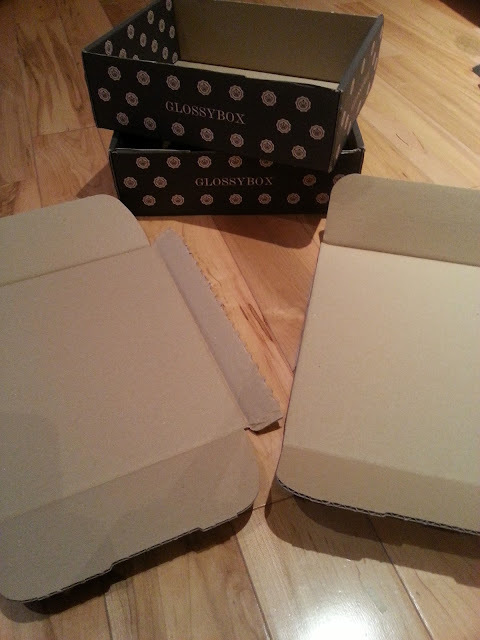 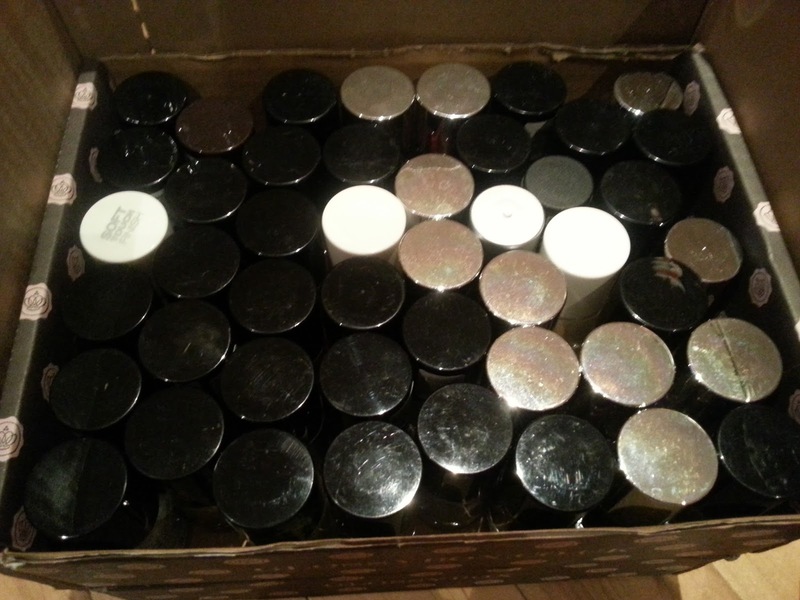 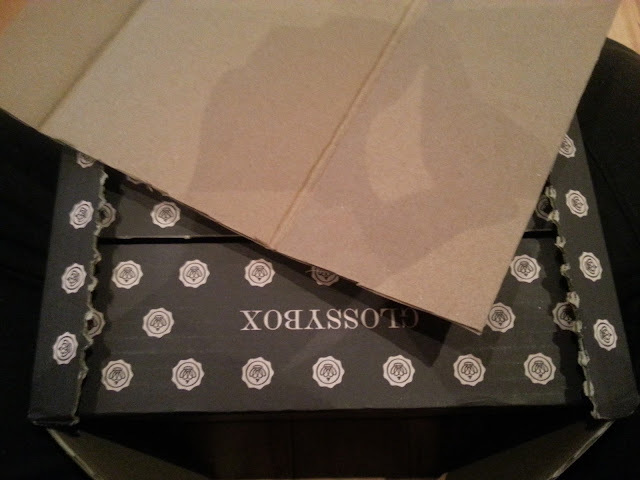 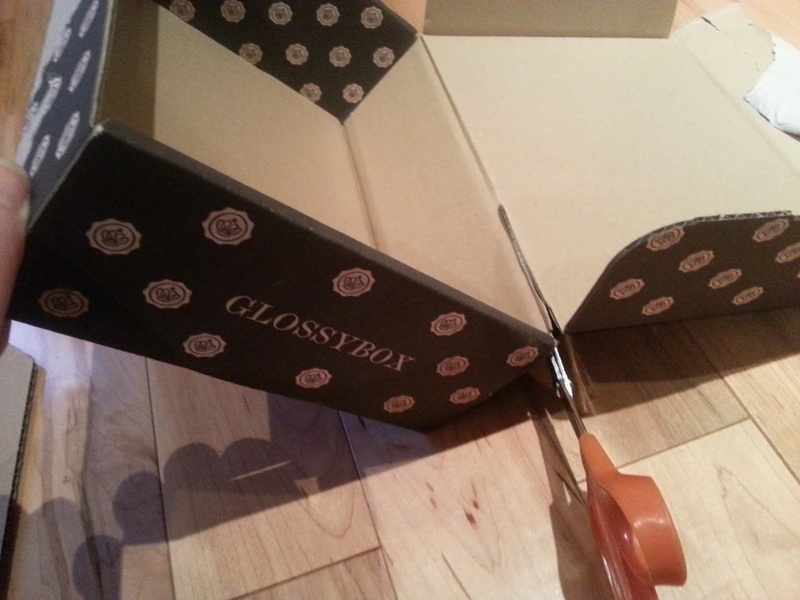 Do this by attaching some stiff cardboard to the side flaps of your Glossybox lids. Use sellotape or glue. 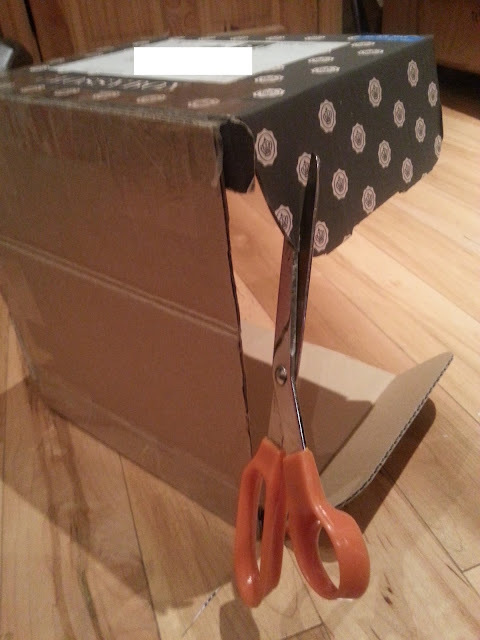 Trim off the overhanging flaps that are left. It's still at the "rough and ready" stage, however I have some cute cupcakes and macrons wrapping paper in pastel shades that I'm going to use to cover the entire unit and add some ribbon "handles" to finish it off. 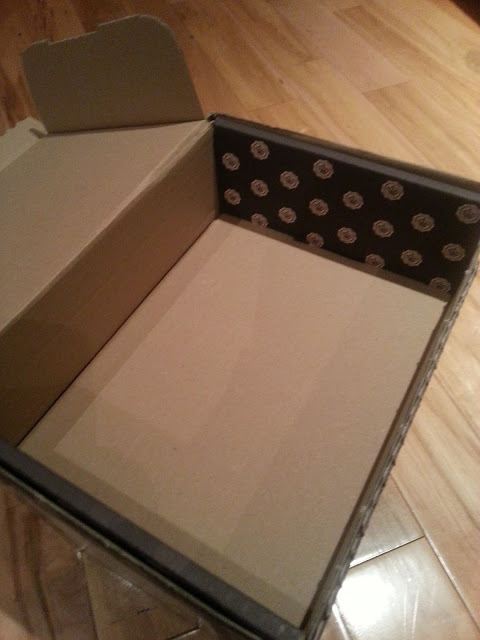 I'll do a mini-tutorial again once it's completely finished and decorated.